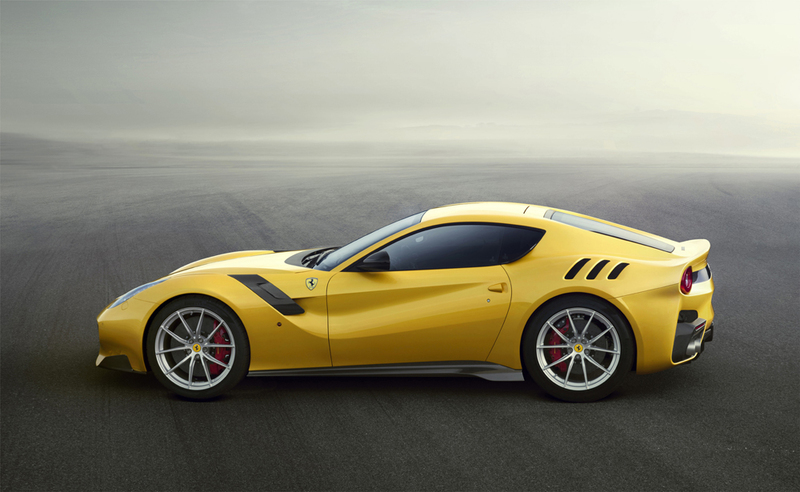 Ferrari reveals the “F12 TdF” which pays homage to the Tour de France, the endurance road race that they dominated in the 1950s and 60s, particularly with the 1956 250 GT Berlinetta which won four consecutive editions. The special edition is limited to just 799 examples worldwide. 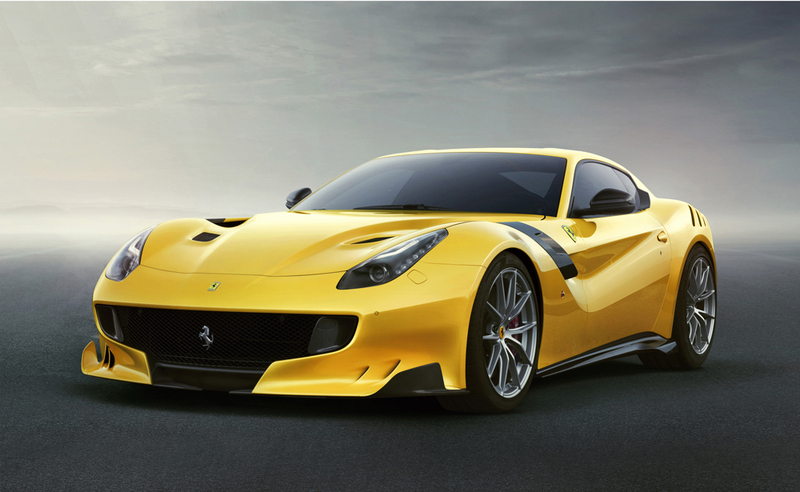 As expected, more power has been extracted from the F12’s 6.3-liter V-12 for the new special edition. 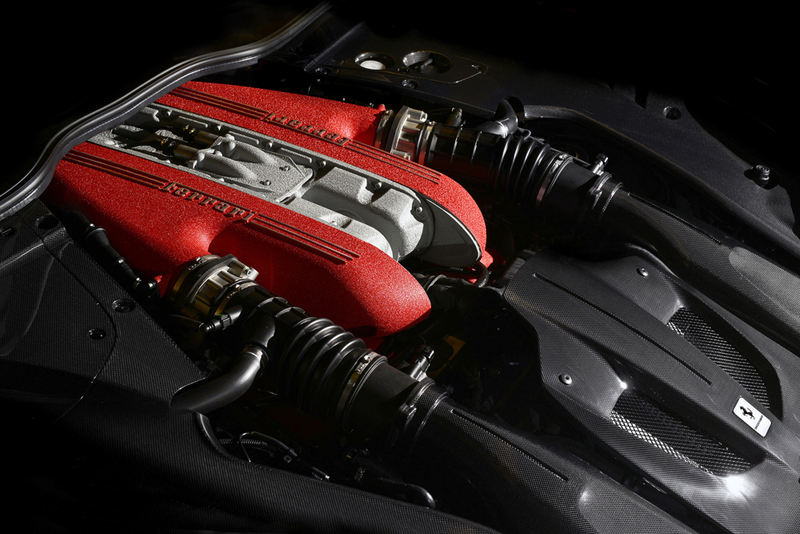 Ferrari quotes an output of 780 metric horsepower, which for the United States translates to 770 hp. Peak torque, meanwhile, registers at 520 pound-feet. 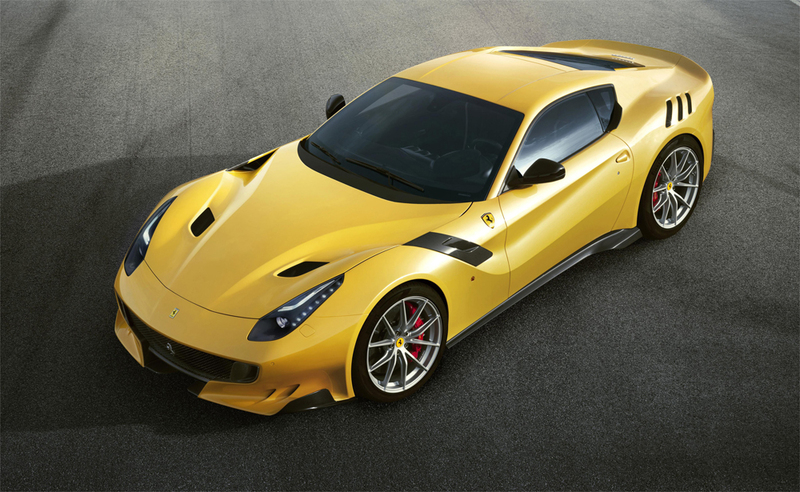 Even a cursory glance will tell you the F12 tdf looks radically different to the F12 Berlinetta. That’s because the special edition benefits from a wider track and an assortment of aerodynamic aids that help boost downforce. 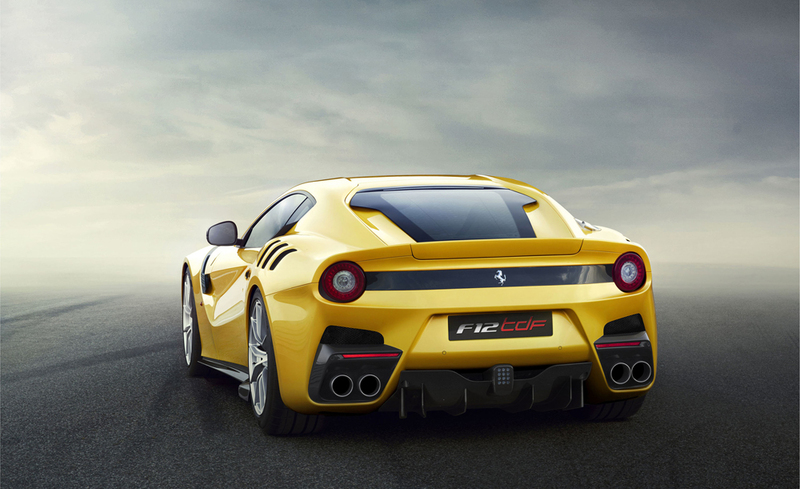 Ferrari says the F12 tdf produces 507 lbs of downforce at 124 mph, almost double what the F12 Berlinetta is producing. 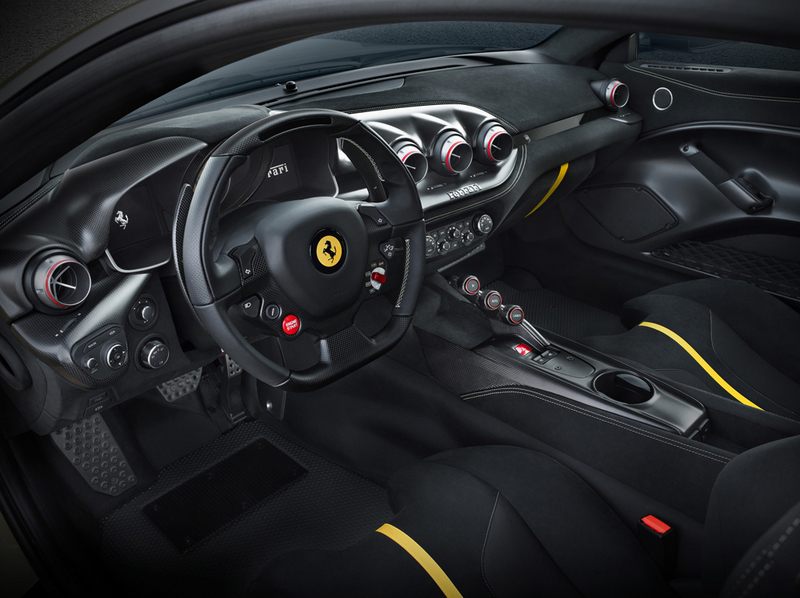 The engineers have also installed a new rear-wheel-steering system that Ferrari calls the Virtual Short Wheelbase. It is integrated with the other vehicle dynamic control systems that help with cornering while also increasing stability at high speed. 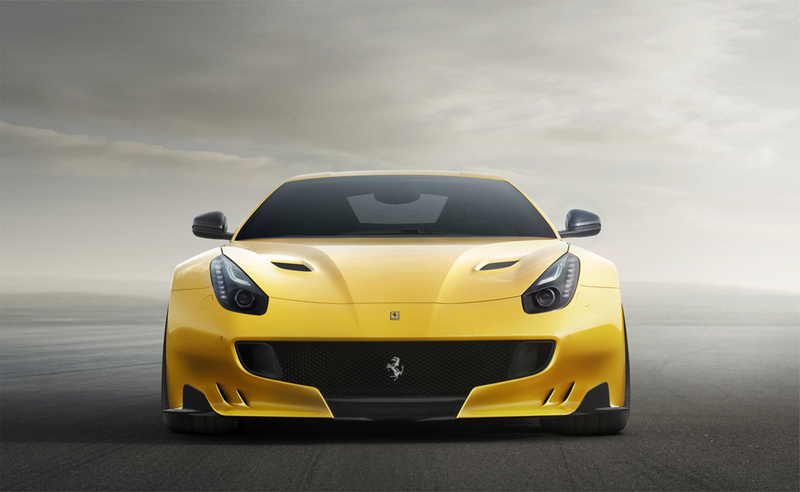 The 0-62 mph time is just 2.9 seconds and the top speed is in excess of 211 mph. Meanwhile you can check other fastest cars.